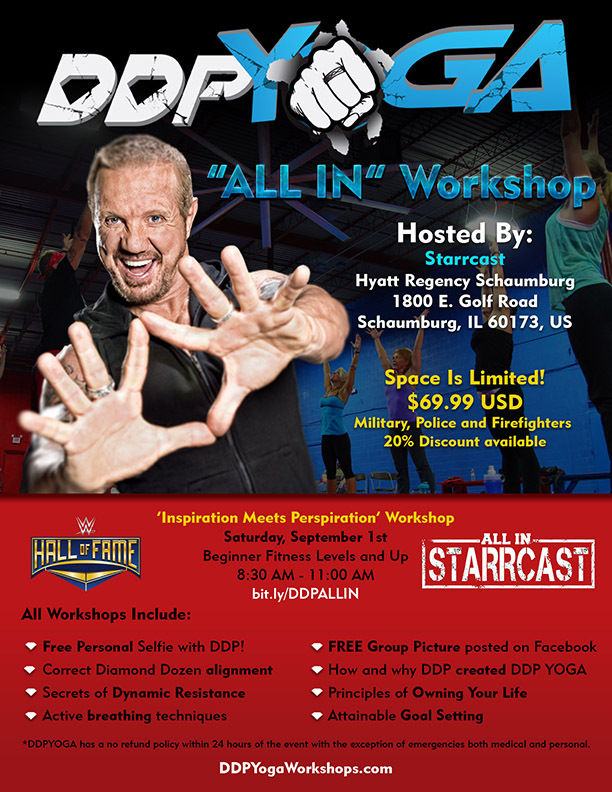 DDP YOGA ‘ALL IN’ WORKSHOP! *Space is limited reserve your spot NOW! FREE Personal Selfie with DDP! Don’t forget to bring your water bottle and your mat! *DDPYOGA has a no refund policy within 72 hours of the event with the exception of emergencies both medical and personal. Please add info@dallaspage.com to your safe senders list to make sure you get important emails. For more info and for the “Thanks for your service” Military, Police and Fire Fighters discount info@dallaspage.com. Police and Fire Fighters must have a badge. Military must have an active duty ID at check in. Family or friends do not qualify for these discounts.